My dad got a new toy. It has 22.5hp 3 cylinder diesel, 4wd, and lots of attachments. Oppo review coming soon as soon as I get smooth on the hydraulics. I now have the full specs. 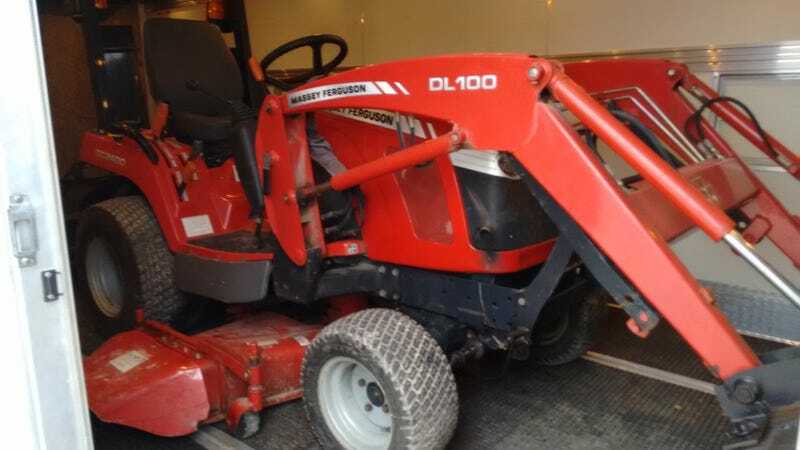 It is a 2008 Massey Ferguson GC4200. -Hydrostatic transmission, 2 forward speeds (low range, high range), and reverse. - It attachments: 54" Mower deck, 48" wide bucket, 60" wide blade, 50" wide snow blower.